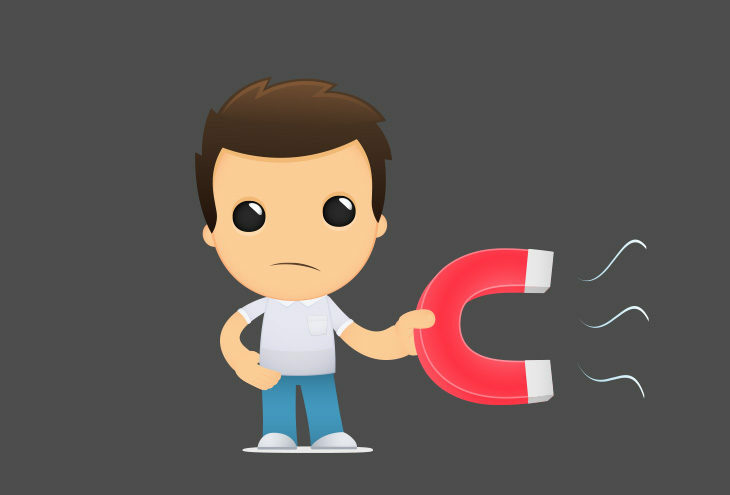 Have you ever noticed that some people have a magnetism about them – they seem to draw people to them? It is my contention that people are not the only ‘magnets’ in organisations. Topics of conversation can often be drawn to negative issues – and this is something about which we must be wary. As human beings, we are naturally drawn to the negative rather than positive. It is only now that I realise that as a young teacher, I was most concerned about the ‘troublemakers’ in my classroom. The studious, high performing students drew far less from my conscious and unconscious attention. When I’m involved in a general conversation with people from the same organisation, the topic of conversation often moves to negative issues. When these issues arise, people seem to get more animated and involved. As I’ve mentioned, I have no scientific evidence to substantiate my claim, but I’m fairly confident in proposing that by and large, people are drawn towards negative things. And of course, this is a trap for us all. When I work with companies to help improve their culture through the UGRs® (Unwritten Ground Rules) concept, I often ask people ‘Which are more ‘contagious’ – positive or negative UGRs?’ And the answer is always the same – negative UGRs are the most potent. This tendency to focus on the negative is a trap for leaders as well. Where is the attention of leaders directed in your organisation? Do people constantly focus on what the organisation is doing wrong? Do leaders spend disproportionate time and attention on negative people within the organisation? Do leaders play down positive aspects of the organisation by drawing people’s attention to negative things? If I’m right and there is a natural tendency for people to focus on the negative, then it’s an incumbent on us all to fight against this. Most people have heard about positive affirmations, which in essence constitutes a list of positively framed features by which a person would like to be characterised. While I’ve heard mixed views about the long term value of positive affirmations, the underlying principle is sound – we need to fight against the natural tendency of being drawn to the negative. As leaders, we need to manage the culture. One vital ingredient in managing the culture is to create a positively focused team – not delusional, but with a positive bias. I’m positive this is worth fighting for.